You knew it was coming. We’re a dentist office, we have to write a blog post about what candy you should avoid this Halloween. Now, we’re not going to say that you should every kind of candy, but these candies are just terrible for your teeth and should be avoided at all costs! 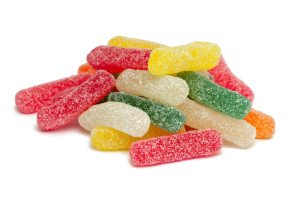 We’ve said it before in our post on the worst foods for your teeth, hard candy is simply sugar that is hardened. Sugar will slowly eat your teeth until they are no longer there. Instead try sugar free hard candy or lollipops. 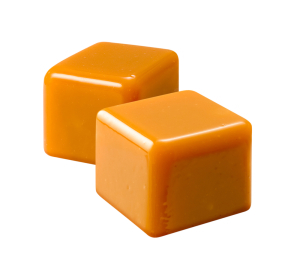 These sticky candies do more than just initial damage to your teeth, they stick to your teeth for sometimes days. Stay away from anything caramel based. 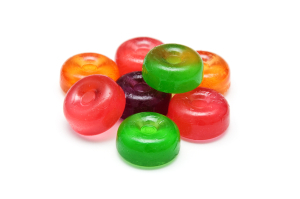 High acid levels in these treats can break down tooth enamel quickly. The good news: Saliva slowly helps to restore the natural balance of the acid in the mouth. Instead try sugar free gum! Please keep your teeth in mind this halloween! Your dentist will appreciate it! Can’t avoid the candy? Make an appointment right after Halloween to make sure the damage isn’t too bad.